Comes with 5 colors of your choice! 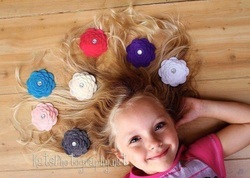 Simply mix and match the top and bottom layers to create a one of a kind look that matches with anything!! 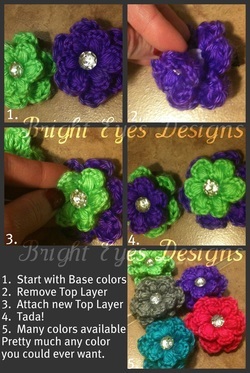 Felt flower hair clip on alligator clip. 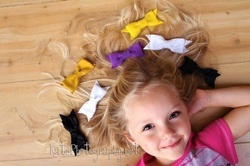 Felt bow hair clip on alligator clip. To order, just drop us a line? Need a different color, just let us know! We love and welcome custom requests!